Last week I decided to change my skincare routine. I didn't really have one set in stone in the first place I just did what I felt like on the day. I am the type of person who won't keep u with a routine if it is a lengthy process and will take way too long to complete. 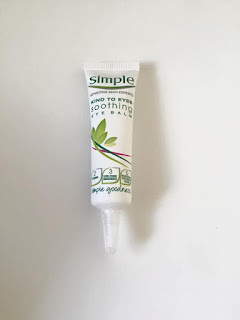 I placed an order on Superdrug and ordered some products from Simple. 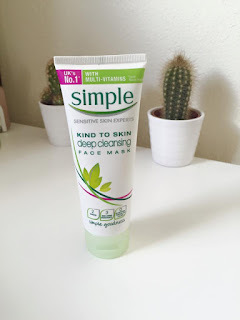 I have used their products in the past and really enjoyed them so I thought it would be nice to have a skin care routine using one brand only. 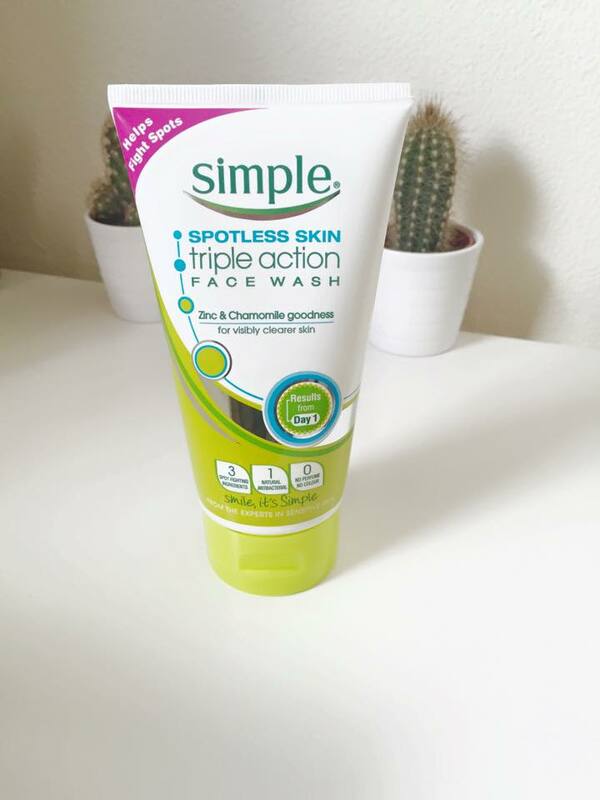 Firstly I bought the Simple spotless skin triple action face wash. 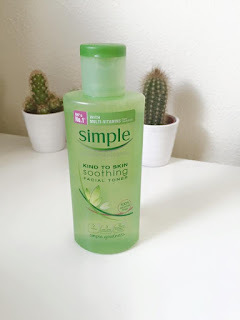 I chose this face wash in particular because it is a gentle wash so won't be too harsh on the skin when using it daily. I wash my face morning and night so I generally try to avoid hash facial washes. Next I bought the Simple kind to skin soothing facial toner. I bought this to remove my makeup. I will put this on to a cotton pad and wipe off al of my makeup before washing my face at night. I prefer to use toners, cleansers and micellar water as it is softer on my skin I find wipes to be too harsh on my skin, but I do use them if I am feeling lazy. 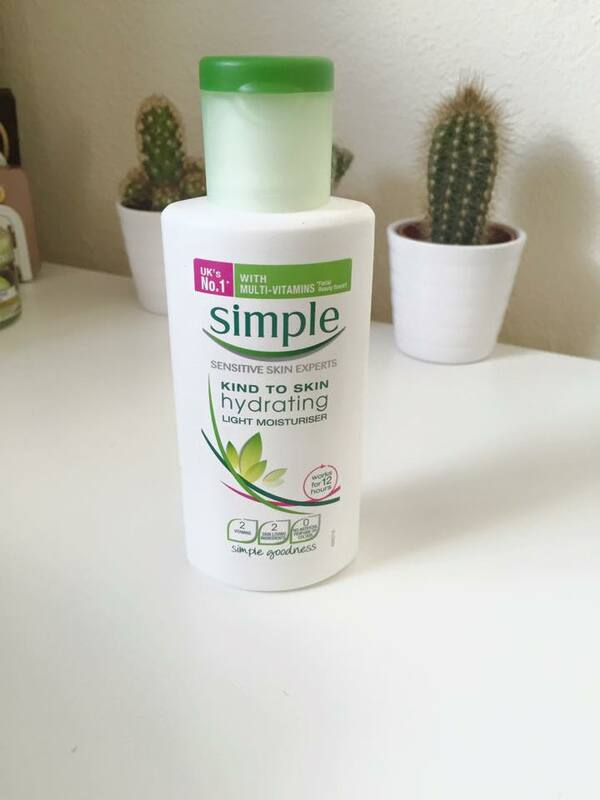 I then got the Simple kind to skin hydrating moisturiser. I didn't buy a day and night cream as I have oily skin I find that using one light moisturiser morning and night works better for me. The constancy of this moisturiser is really smooth and isn't too thick which I like, it also leaves my skin feeling hydrated without feeling greasy. I am rather shamed to admit this but I have never used an eye cream before. My under-eyes are looking rather dark and I think just need a little TLC so I decided to get the Simple kind to eyes soothing eye cream in hope that it will brighten my under-eyes and will stop me form looking like a zombie! Lastly I bought the Simple kind to skin deep cleansing face mask. I really enjoy using face masks as I like to spend little time in the evenings pampering myself. I have noticed when I use face masks on a regular basis my oily and spot prone skin brightens and clears so much. I will aim to use this face mask between 1 and 2 times a week.